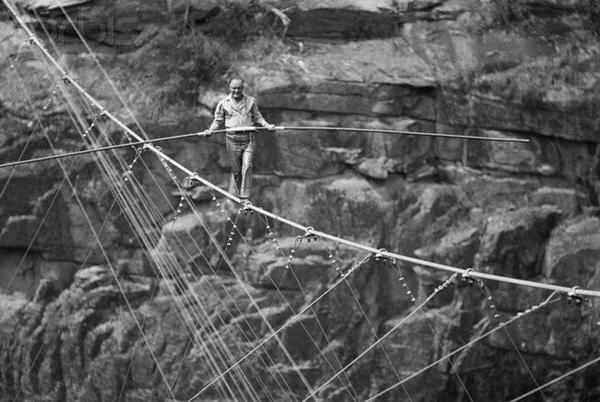 In July of 1970, Karl Wallenda walked across the Tallulah Gorge on a tight-rope, smack dab in the middle of God’s Country. My entire family was there and watched in amazement as he crept across the gorge stopping twice to stand on his head… .yes, he stood on his head on a tight rope over the Tallulah Gorge. I was just a child and we observed the walk from a distance that quite frankly we didn’t see anything… but we were there! Tonight, his great-grandson will attempt to walk a tight-rope over Niagara Falls. Ironically, Sam and Donna are on their way there for vacation, I wish they could be there to see the show. I hope Nik has the same good fortune as his predecessor! Sam and I always had an agreement, when it was time to come home he would tell me. When I got the call on February 15th, I was in the car within the hour. While I had seen mama and daddy, Sam, Donna, Chelsea and Zack all the day before, when Sam called to tell me it was time to come home, I knew it was time. We had all gathered together in Edgewater, Florida for Valentine’s Day weekend. Mama and Daddy had a winter place there and we came together to surprise mama. Deep down we all knew it was probably the last Valentine’s Day and when mama saw us all show up she was so pleased. That Sunday morning, mama told Sam to “take me home.” Within hours, the Florida home was closed up, good-bye was said to close friends and my entire family was in their cars headed back to God’s Country. In speaking with Sam the next morning, he relayed to me that mama was not doing well and the trip home had been hard on her. I made few stops that day on the way home, Fernandina to pick up Aunt Beck, drive thru meals, gas and a quick bathroom break, that was it. Mama’s condition improved during my drive home and Sam relayed the news to me continuously, I kept driving…. it was time to go home. Aunt Beck and I got home late that night, when we went into mama and daddy’s room and mama looked up at me and said “hey baby, what are you doing here.” She was alert and knew me right away, I just shrugged off the question and told her I decided to come home and see her. The next morning, I heard mama and daddy up bright and early, talking, cooking breakfast and greeting the day. When I came down, mama got down to business. She let me know that she wanted Sam to come over that we had some business to discuss. When Sam arrived a couple of hours later we all sat in the living room when she told me to bring her the yellow pad in the cabinet. I got it and brought it down to her and mama began to dictate to all of us what she wanted for her funeral. I was shocked, but didn’t say anything, mama and the Lord had it all planned out. She told us who she wanted to speak, what she was to wear, flowers, music, the whole plan. We didn’t question anything she said, mama was in control. The only change to the plan was Sam and I both asked mama if it would be ok if we spoke at the service, she said yes. Over the next couple of days, we all met with the Pastor, mama told him what Bible verses she wanted and what she wanted said. As a family we spent every hour possible together. Mama got up each day, we sat in the living room, we ate as a family, we laughed, we talked and we cried. One morning our dear friends from Rochelle, GA visited, it was like old times having the extended family together. On Wednesday, mama told me she wanted two things to eat, a baked potato with everything, no fake stuff, no diet stuff….everything. She also wanted macaroni and cheese. The baked potato would be no trouble but I had never cooked macaroni and cheese. I looked up a Paula Deen recipe and off to Wal-Mart I went to collect the needed supplies for both dishes. Friday afternoon the entire family gathered for lunch, we ate huge baked potatoes with all the fixins… nothing diet, just good food. During lunch mama told us to get in touch with the Church and ask them to come over to the house and serve us all the Lord’s Supper. After lunch mama went to bed, she didn’t get up again. All evening Friday and day Saturday we turned our vigil to mama and daddy’s bed. We would sit and talk to her and each other. She would be in and out of alertness, but I know she heard it all. Saturday afternoon a Deacon from the Church came and served us the sacraments. As we were served, daddy wet a tiny piece of bread with the juice and placed it in mama’s mouth….. she bit down on his finger and wouldn’t let go. We all roared with laughter! From that time until the end, mama proceeded to make her way home to be with the Lord. We would lay on the bed as a family talking, crying and doing everything we could to live in those final moments. At one point during the evening, mama got a peaceful look on her face and a tiny smile appeared. Aunt Beck asked “I wonder who she just saw?” I realized at that point that mama had begun her final journey home. During the night daddy encouraged us to leave the room so he and mama could get some sleep. Around midnight Chelsea woke me up and asked me to come check on mama. I rushed in and at first glance she didn’t appear to be breathing. Sam and Aunt Beck came into the room and we woke daddy. For the next several minutes he sat at her side and begged her to breathe, willed her to breathe and she did. Six breaths a minute, four breaths, 9 breaths, it fluctuated and daddy kept encouraging her. As mama began to stabilize we went back to the living room to let mama and daddy get some rest. Aunt Beck woke me up shortly after 4, mama was gone. Aunt Beck said she sat with her for 5 minutes to make sure and she was gone. We woke Sam and we woke daddy and our family sat and grieved the loss of our rock, the cornerstone of our family. After mama was pronounced dead, I lay down in the quiet of the room with her. I lay and I cried, the most important person in my life was now gone. The next several days are a blur, so many people were so kind to our family. We stood in the funeral home for four hours straight with a constant line of people paying their respects. At the funeral, Sam and I both spoke. Sam went first and I was SO proud of him, he was eloquent, he was rock solid, he honored our mother with his simple love and compassion. I have never been more proud of him than I was during those moments and I know mama was proud too. Mama died two years ago today. It isn’t any easier than it was the day it happened. I want to talk to her every single day, I want to hug her, kiss her, hold her hand and just listen to her voice. I can’t do that, what I can do is honor her, I will do that. My mama was the most amazing woman I have ever known, I hope you say the same about your mother. If you are reading this, and if you can still do it…. do me a favor, stop reading now, pick up the phone call your mama and just tell her you love her. If not for yourself, do it for me. Gramps was my grandfather on my mother’s side. Sam J. Bellamy, he was a tall slender man of few words. (To this day I don’t know what the “J” stood for.) Gramps took the backseat to Ma-Ma, his wife of 62 years. She was a tiny spitfire of a woman who took control of the room and never let go. I never really knew Gramps that well until after Ma-Ma died. For my entire life he was the silent guy working in the garden or sitting on the back porch who gave me peppermint sticks. He referred to me as”Shorty,” and for the most part he he called me “Shorty” until he died. Daddy has said on many occasions that he has never heard anyone say a bad word about my grandfather, that is quite a compliment in today’s world. Gramps was a striking man, over 6′ tall and slender, snow-white hair slicked straight back and always immaculately dressed. He worked for Tugalo Gas Company for his entire adult life. Traveling the back roads of Georgia during the 60s and 70s was difficult work, he would install tanks, run gas lines and all the other necessary tasks providing gas to homes and businesses. Over the years, Gramps became well-known with his customers. Known as Mr. Sam to many. Sometime in the 60s, Gramps got a partner. 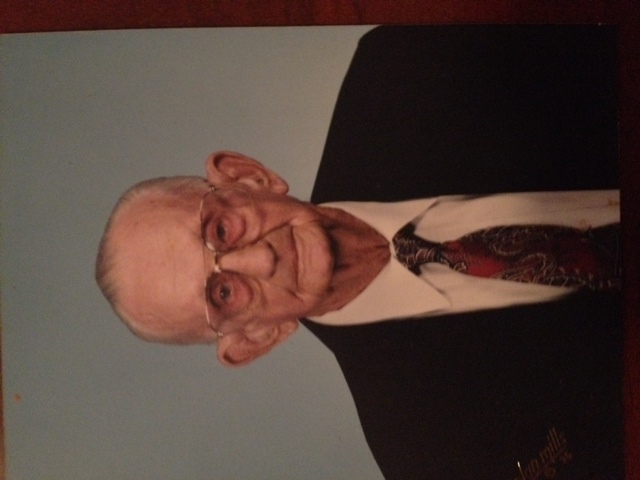 Gramps’ partner was a kind man as well, a man of few words and extremely hard worker. Gramps’ partners was Jessie. The pairing of Gramps and Jessie turned some heads in those early days, but Gramps continued to do his job and treated Jessie with the respect that he would any other co-worker. Over the years, Gramps and Jessie became friends and remained partners until Gramps retired. When I was a child, now and again I would “go to work” with Gramps. During those days I was one of the boys and included in the banter of the day between Jessie and Gramps. Through the years I learned some of the most valuable lessons of my life through the partnership of my grandfather and Jessie. Back in the day, black men were not welcome through the front door of many restaurants in the area. They weren’t allowed to eat in the dining room and treated as second class citizens. My grandfather CHOSE not to eat in those restaurants because his partner could not eat there. When Ma-Ma sent lunch for gramps, she would send it for Jessie too. Jessie and his family were included in all of our Christmas card lists and his family would receive special gifts from Ma-Ma and Gramps each year. Through silent dignity, my grandfather taught me through action that all men are created equal and should receive all the benefits of any other American as long as they are willing to be a productive member of the society. Gramps worked until he was in his late 60’s, he retired and then he went back to work again. He wasn’t made to be idle. As Ma-Ma’s health began to fail, I started to see a new side of my grandfather. He began to speak up and be the voice of our family. Little did I know he had always been the voice, he just didn’t need words to be heard. On the day Ma-Ma died my relationship with Gramps changed. Ma-ma had been in the hospital in Atlanta, 90 minutes from Gramps house. Our family had been gathered there for days as we knew the end was near. We left the remaining members of the family and got in my car for the drive to Toccoa. When we got in the car he simply said, “get me home.” Gramps and I said very little on that trip, but without words we bonded in grief and memories. I stayed pretty close to him through those days of mourning and our relationship continued to grow after. As I got older, I learned that Gramps had a wicked sense of humor. The sparkle in his eye could add emphasis to a story that words failed. Mama and Daddy began to travel during those years and often Gramps would accompany them. He never let up, he just went. In late 1996, I moved to South Florida. Not long after mama and daddy planned a visit. Gramps was with them. On that trip they had stopped for an overnight with Aunt Beck. The next morning gramps fell in the shower, we didn’t know how badly he was hurt until much later. Without complaint mama, daddy and gramps made their way to my house. Gramps wasn’t feeling well but he was not going to miss the trip to see “Shorty.” That stay lasted less than 48 hours, Gramps was having a hard time breathing and he refused to go to the doctor. After a less than restful night, the trio left my house on their way back to God’s Country. We found out when they arrived home that in the fall, Gramps had punctured a lung. For 4 days he walked around, traveled and visited with family all without the ability to breathe. Again, he said more without words than he ever could have with words. He spoke of overcoming adversity, working through pain and the importance of family. Gramps died a year later. He died as he had lived, quietly and with dignity. I am glad I got to know Gramps, his ability to teach through action served all who knew him well.